Just a quick message, this month: I've been spending more time digging and planting and less time scanning and posting. However, there is one new photo set posted, scans of a WWI time period Service Register book from Mystic, Connecticut. It's a needle-in-a-haystack proposition, but there are quite a few signatures from men serving on chasers at the time, so maybe someone will find a relative's name in the lists. Service Club Register, Mystic, Conn. 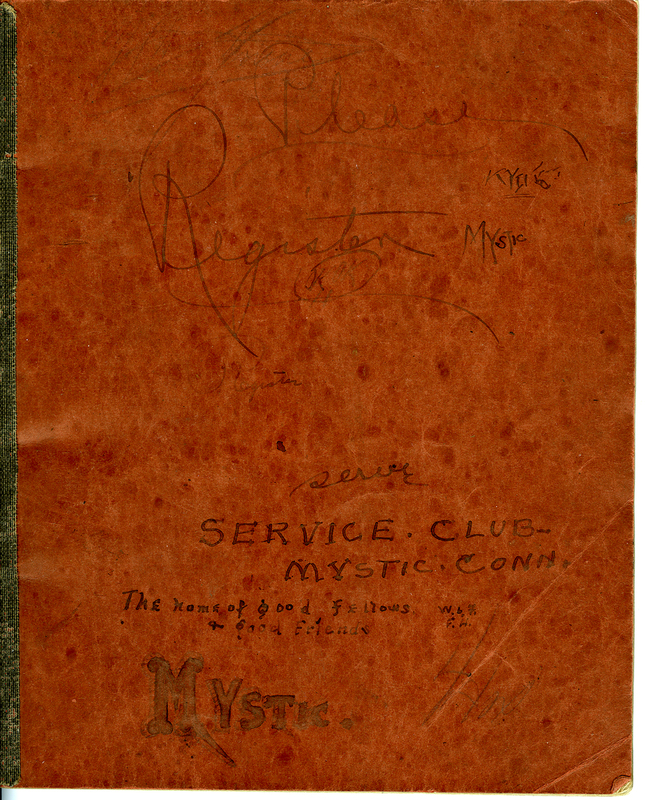 Recently posted is the first half of a softcover register booklet, marked "Service Club, Mystic, Conn.," containing signatures that include many of men serving on WWI subchasers.